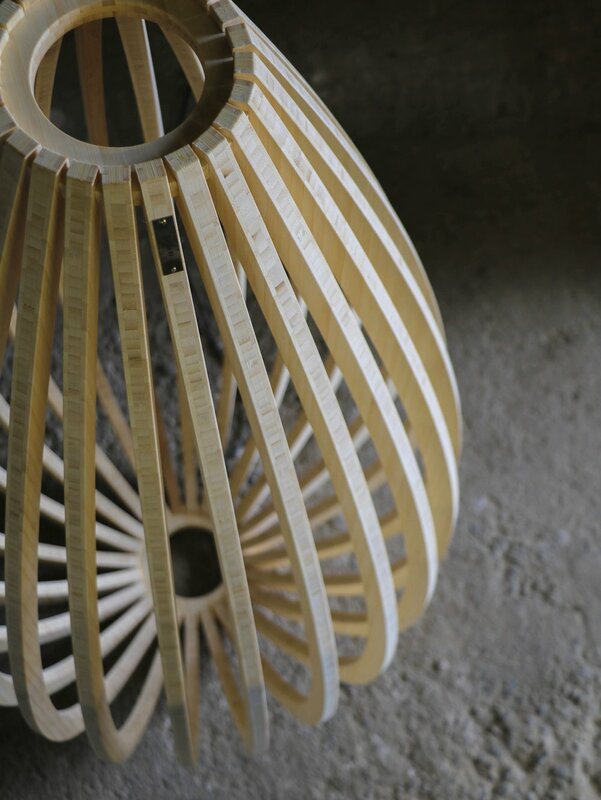 Luna's design is inspired by a wooden musical shaker manufactured in Thailand. The wider base communicates a balanced and well proportioned form. A twenty four piece array allows for a subtle projection of shadows within the space it inhabits. At a height of 1100mm, Luna fits into any commercial or residential interior.